Ok, I figured I should post what I've done so people can get an idea of how to do this. Thanks to Mr. Bougo, Asy7um, and Spaceman for their help. alias cl_hook_gamestart_ctf "seta snd_channel8volume 0.100000; seta bgmvolume 0.100000; seta snd_channel9volume 0.100000; seta snd_staticvolume 0.100000"
alias cl_hook_gamestart_dm "seta snd_channel8volume 0; seta bgmvolume 0; seta snd_channel9volume 0; seta snd_staticvolume 0"
That will effectively turn music and ambient sounds on(at half volume) for ctf and off for dm. This can be done for all other gametypes as well. Is there a way to make the game automatically mute the music during a certain gametype? I love the music, but it's a hindrance in a duel. And since I mostly duel, I often forget to turn it back on when changing gametypes. Also, is it possible to bind "exec insertcfgname.cfg" to a key? to your autoexec.cfg which will restore your volume levels every time you start. Actually, there are cfg hooks called from CSQC just for that. As you can see, those hooks do nothing by default. You can alias them to whatever you like in your autoexec.cfg. 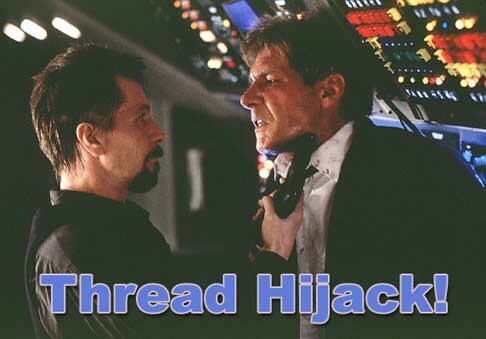 alias cl_hook_ctf "echo This message appears every time a ctf game starts"
Now I'm not sure what you mean by "duel" -- is that what young'uns call 1v1 these days? If so, there's no way currently to distinguish between multiplayer FFA dm and 1v1 dm, since it's the same gametype with a different player count. (05-04-2012, 05:06 PM)Mr. Bougo Wrote: Actually, there are cfg hooks called from CSQC just for that. Very interesting! Yeah, duel is 1v1. I forget that it's technically still dm, though I'm curious how xonotic stats can differentiate between a duel and dm. (05-04-2012, 07:13 PM)W4RP1G Wrote: Very interesting! Yeah, duel is 1v1. I forget that it's technically still dm, though I'm curious how xonotic stats can differentiate between a duel and dm. I guess this makes some dm matches on public servers count as duels. A "real player" seems to be any player who played in the match and was playing when the match ended. Bots are included in the count. I see. Would it be possible to throw an XPM setting in there as well, so that just any dm with 2 players isn't counted as a duel? I guess that might be getting kinda picky though. Also, have you successfully used the cl_hooks? I've tried and get nothing. I can't even get cl_hook_gameend "echo good game" to do anything when I endmatch. You're using hooks wrong. They are aliases, not commands or cvars. You need to alias them to a command. alias cl_hook_gameend "echo good game"
Also, echo prints to your console, use say to send a message. (05-05-2012, 05:09 PM)Mr. Bougo Wrote: You're using hooks wrong. They are aliases, not commands or cvars. You need to alias them to a command. Well, I tried it with the alias, without it, with and without quotations, and nothing worked. Then I figured out that my autoexec.cfg was not loading. I have no idea why, but Xonotic did not recognize it. I made a new one and everything works fine. I have it set up to kill bgm and ambient sound when I start a dm, andto restart them when the other modes start. It should be noted that snd_channel8/9volume do not control the ambient sound or bgm, it's bgmvolume and snd_staticvolume. Once again, thanks for the help, Mr. Bougo. One more thing though, do you know what the "activeweapon" hook does? I didn't know, so I checked the source. It's actually pretty nifty, it's called when you switch weapons (be it manually or automatically, and spawning with a weapon counts as a switch), with the weapon's shortname as argument or "none" if you switch to no weapon (I think that happens in race mode sometimes when you cross an object-altering trigger that removes all your weapons). Then use these empty aliases just like the other hooks, by aliasing them to whatever you want. You can then have weapon-specific binds, how awesome is that. Oh I see. That's pretty neat, but I can't think of a practical use for that. Any ideas? I was messing around with weapon specific FOVs, which is cool but distracting. Another thing I was considering was making the minstanex alt-fire bound to my laser key, then making mouse 2 zoom. I always hated how the minstanex alt wasn't a zoom. Cool stuff! Has anyone got a guide for all of these alias thingys? (05-06-2012, 03:34 PM)rocknroll237 Wrote: Cool stuff! Has anyone got a guide for all of these alias thingys? alias cl_hook_w_minstanex "bind BACKSLASH +fire2; fov 115; bind MOUSE2 +zoom"
alias cl_hook_w_shotgun "bind BACKSLASH weapon_group_1; fov 115; bind MOUSE2 +fire2"
alias cl_hook_w_uzi "bind BACKSLASH weapon_group_1; fov 90; bind MOUSE2 +fire2"
alias cl_hook_w_rocketlauncher "bind BACKSLASH weapon_group_1; fov 115; bind MOUSE2 +fire2"
alias cl_hook_w_grenadelauncher "bind BACKSLASH weapon_group_1; fov 115; bind MOUSE2 +fire2"
alias cl_hook_w_crylink "bind BACKSLASH weapon_group_1; fov 115; bind MOUSE2 +fire2"
alias cl_hook_w_electro "bind BACKSLASH weapon_group_1; fov 115; bind MOUSE2 +fire2"
alias cl_hook_w_nex "bind BACKSLASH weapon_group_1; fov 115; bind MOUSE2 +fire2"
alias cl_hook_w_hagar "bind BACKSLASH weapon_group_1; fov 115; bind MOUSE2 +fire2"
alias cl_hook_w_laser "fov 115; bind MOUSE2 +fire2"
alias cl_hook_w_none "bind BACKSLASH weapon_group_1; fov 115; bind MOUSE2 +fire2"
That essentially changes the binds for the minstanex, and decreases the fov when using the machine gun. For the minsta, it changes mouse2 to zoom, and mouse3(which is bound to BACKSLASH for me) into the alt-fire. Then everything goes back to normal when minsta is off by rebinding alt fire to mouse2 and laser to mouse3(BACKSLASH). The MG fov is pretty obvious. The fov is set at 90 for the mg, and 115 for everything else. I probably went a bit overboard adding the mouse2/backslash binds to all weapons, but I'm obsessive I guess. Also note that cl_hook_w_none will be activated from time to time when changing weapons. Not sure why. I added commands to it to stop the annoying message I got when it was left empty. Also, see my original post for the specific sounds settings for different gametypes. The only guide is the source code. (05-06-2012, 03:49 PM)W4RP1G Wrote: I probably went a bit overboard adding the mouse2/backslash binds to all weapons, but I'm obsessive I guess. alias _whook "alias cl_hook_w_$1 \"bind BACKSLASH $2; fov $3; bind MOUSE2 $4\""
(05-06-2012, 03:49 PM)W4RP1G Wrote: Also note that cl_hook_w_none will be activated from time to time when changing weapons. Not sure why. I added commands to it to stop the annoying message I got when it was left empty. Do you think you could investigate this? Perhaps it triggers "none" when you spectate or die? I get the "unknown command cl_hook_w_none" error randomly when switching weapons, on respawn, and when going into spectator mode. Going into spectator mode makes sense, but I don't understand why I get it when respawning and switching weapons. That's because I forgot to make the cl_hook_w_none alias. Add alias cl_hook_w_none to the bunch. I guess you spawn without a weapon then get it given to you. I guess this should be reported to the bug tracker. "cl_hook_activeweapon none gets called on spawn". Care to do that? (05-08-2012, 01:42 AM)Mr. Bougo Wrote: That's because I forgot to make the cl_hook_w_none alias. Add alias cl_hook_w_none to the bunch. This means that the command "cl_hook_activeweapon shotgun" will in turn call the command "cl_hook_w_shotgun". I simply forgot to define the "cl_hook_w_none" alias which gets called when the hook system calls "cl_hook_activeweapon none". Nevertheless, cl_hook_activeweapon none gets called when it shouldn't (from a player's standpoint at least), and that is the bug. I corrected the bug description accordingly. Oh i see. Yeah I don't fully understand how this stuff works. Thanks for correcting that for me. Sorry for the 'advertisement', but I talk on this topic and much more in this thread.